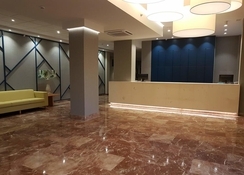 The 3-star Hotel San Fermin is centrally located, just 400m from the beach and just over a 5-minute walk to the popular and well-known Bonanza Square where you will find a great choice of shops, café’s bars and restaurants. The well-appointed hotel has array of facilities including a good sized swimming pool and separate children’s pool, and for the more energetic the hotel offers a multi-purpose sports / tennis court. Your stay at the Hotel San Fermin wouldn’t be complete without enjoying one of the evening performances which include Flamenco shows, a variety of music shows or a musician. 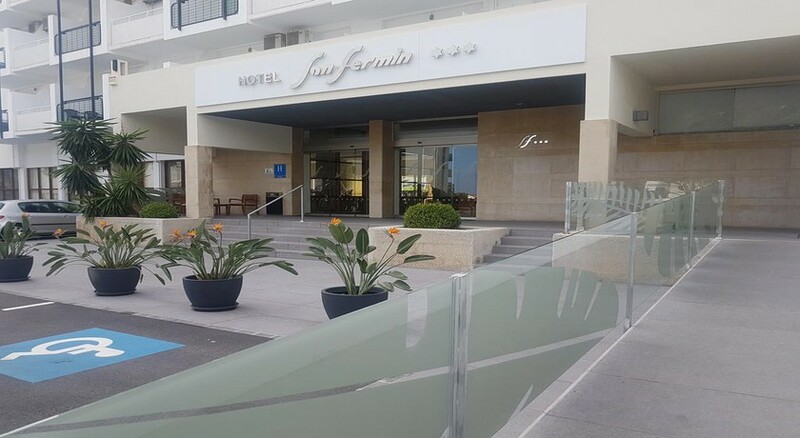 Set in stunning gardens that covers over 4000 square feet, the Hotel San Fermin has plenty of space to unwind and enjoy the Costa del Sol sunshine. Please note, that due to the hilly location, this hotel may not be suitable for that that have mobility restrictions. The stunning Blue Flag Beach of Playa Malapesquera is located just over 600m away and one of Costa del Sol’s iconic attractions, the glamourous and award-winning Puerto Marina Benalmadena is a leisurely 15 minutes’ walk from the hotel San Fermin - where you will find an abundance of restaurants, cafes and bars to choose from. For days out, you’ll never be too far away from the resort’s attractions - with the popular dolphin and sea lion show at Selwo Marina being just a 10-minute walk away, ideal for a day out with the kids. 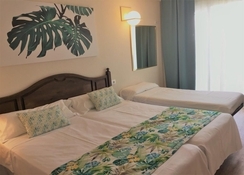 The hotel San Fermin consists of 315 twin rooms, all with private and modern facilities including; independent air conditioning, fully equipped private bathroom, HD International Satellite TV, hair dryer, phone, safe rental and a mini bar for rental. In addition, the hotel also offers three adapted rooms that are suitable for disabled guests. The restaurant at Hotel San Fermin offers a buffet-style restaurant serving international and Mediterranean food as well as offering show cooking to its guests. In addition, there is a small café bar as well as pool bar that serves drinks and snacks throughout the day. 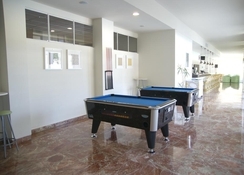 During peak season, the professional animation team put on a full programme of activities where you can take part and make the most of the hotels facilities, be it ping pong, billiards/pool - plus taking full advantage of the multi-purpose sports court where tennis, football & basketball is offered. Again, during the peak season months of July and August the hotel also wows its guests with three evening shows a week, one of which being traditional flamenco. The children are well catered for too, with a mini club operating during the day to keep the little ones entertained. 4,000 m2 of Gardens. Tennis Pool for Adults and Children. Children's playground Sports Court Ping-Pong Billiards and Recreational Machines. Towel Rental for Swimming Pool. Free Wi-Fi throughout the hotel. Hammock Services € 2 / day. With the ticket 10% discount at the bar. Offers not included. Beauty service twice a week. Booking Excursions and tickets to Shows. Animation Program for Adults and Children. 3 weekly performances (Flamenco, varieties and musician). Miniclub from June 15 to September 15. 24 hour reception Luggage room Cafeteria bar. Buffet restaurant Pool for adults and children. Free and paid outdoor parking, € 7 / day (limited places). Air conditioning Non Smoking Room Hair dryer International Satellite TV. Free toilet and shower service for late departures. Payment by card. Allowed to smoke only in outdoor areas. Wake up service Electrical adapters. Car rental Transport information, medical service, etc. Pool for Adults and Children. Towel Rental for Swimming Pool. Hammock Services € 2 / day. With the ticket 10% discount at the bar. Offers not included. Beauty service twice a week. Booking Excursions and tickets to Shows. Animation Program for Adults and Children. 3 weekly performances (Flamenco, varieties and musician). Miniclub from June 15 to September 15. Free and paid outdoor parking, € 7 / day (limited places). Free toilet and shower service for late departures. Allowed to smoke only in outdoor areas. Transport information, medical service, etc. When arriving the hotel was very clean, food was good. Entertainment good. Room cleaned everyday. Transfers great. Cannot complain. Loved our stay here. Will come again. hotel was super, food amazing. clean, no rushing to the pool for a sun lounger . 2 Euros for sun lounger. great idea. we never got to stay there.